Over $2 million in TE funds have been used to restore the Stone Arch Bridge, a former railroad bridge crossing the only waterfall, Saint Anthony Falls, on the Mississippi River. The nationally registered historic bridge dates back to 1883 and is now used by pedestrians, bicyclists, and a short-line trolley. The Stone Arch Bridge is used daily by commuters and recreation seekers in Minneapolis, nearby suburbs, and the University of Minnesota. The bridge provides access to Mill Ruins Park (which received $775,000 in TE funds in 2003 for a pedestrian circulation system) and the St. Anthony Falls Heritage Trail, a two mile trail with an extensive array of interpretive and directional signs noting the early days of the city and the historic flour mill district. It is also one of many sites along the Grand Rounds National Scenic Byway (where bicycle and pedestrian wayfinding improvements were implemented through $715,000 in TE funds in 2003). 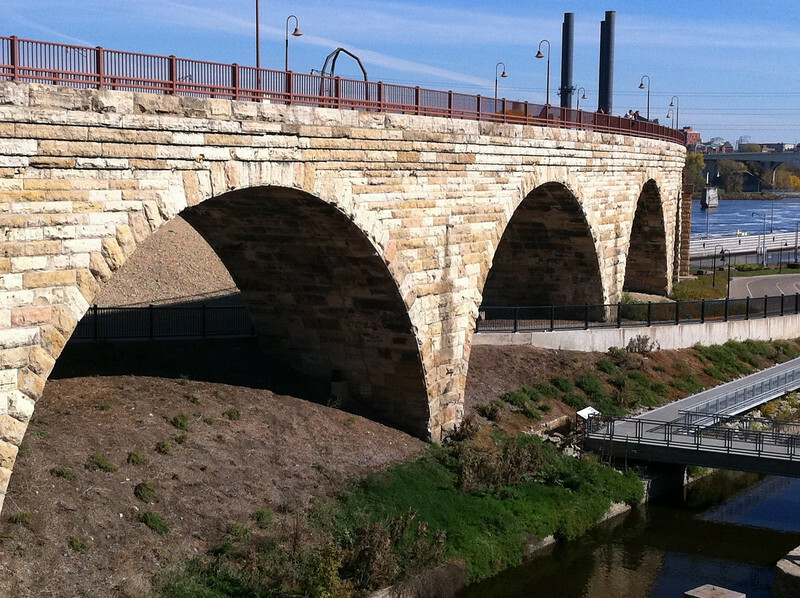 The restoration of the Stone Arch Bridge would not have been possible had it not been for the partnership between the Minnesota Department of Transportation, the Minnesota Historical Society and the local Saint Anthony Falls Heritage Board.